DIY is now touring ‘Give Me Space!’ – our original production that takes audience members on a multi-sensory journey through space. The show is designed for children and young people with PMLD. DIY has been working with Eve Harrison and Hannah McCabe to create a beautiful live music score, and with designer Nerissa Cargill-Thompson to create fabulous costumes, set and props. 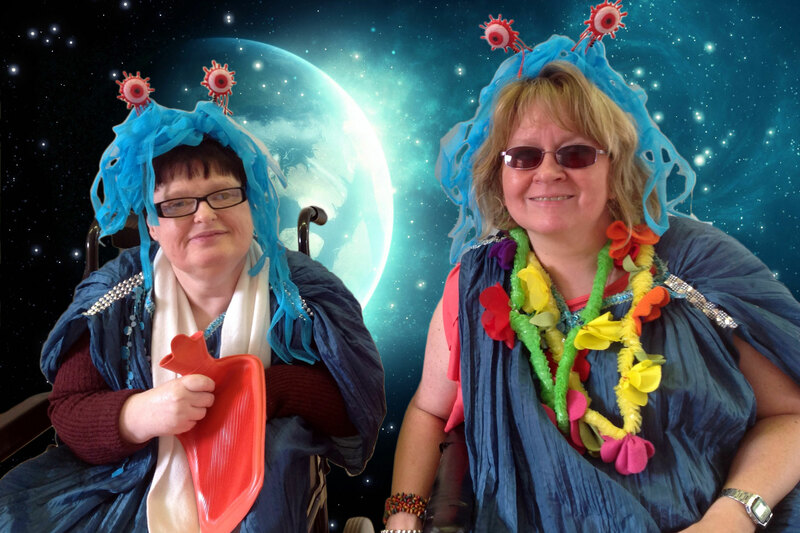 ‘Give Me Space’ comprises two 45 minute performances, each for an audience of 6 – 8 learners with PMLD. Each performance is accompanied with a pre- and post- show workshop for a maximum of 8 participants. These workshops will engage participants in space exploration through the senses and enable young people to achieve their Discover Arts Award.